CLEVELAND -- The Cleveland Cavaliers made a flurry of moves to overhaul an underperforming roster ahead of Thursday's NBA trade deadline, reportedly dealing several key players in a series of deals. 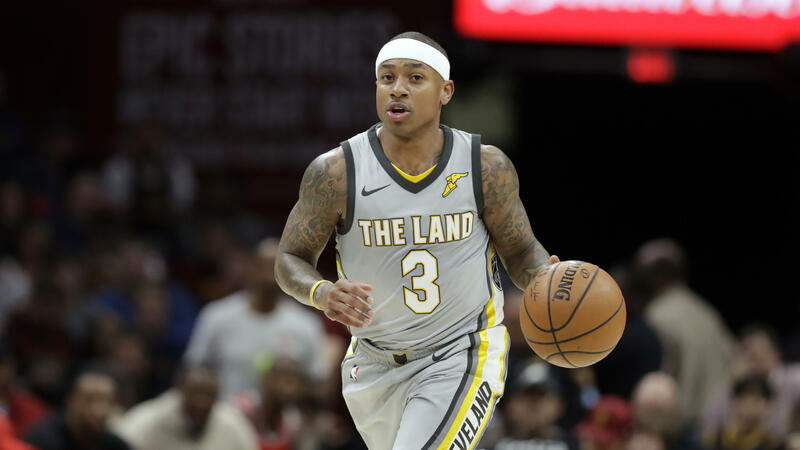 The Cavaliers are dealing guard Isaiah Thomas, forward Channing Frye and one of their two first-round draft picks to the Los Angeles Lakers in exchange for point guard Jordan Clarkson and forward Larry Nance Jr., the Lakers announced Thursday. ESPN's Adrian Wojnarowski, who was first to report the Los Angeles deal, reports the Cavs are sending guard Dwyane Wade to the Miami Heat in exchange for a second round pick in the 2020 draft that will go to the Sacramento Kings, citing league sources. Wojnarowski also reports Cleveland will acquire Rodney Hood from the Utah Jazz and George Hill from the Kings in a three-team swap. In exchange for Hood and Hill, the Cavs will send Derrick Rose and Jae Crowder to Utah, and Iman Shumpert and the Miami pick to Sacramento, Wojnarowski reports. Cleveland is just 7-13 since Christmas Day, and the club's slide has coincided with Thomas' comeback from an injury. He played better on Wednesday night, scoring 13 points with seven assists in 31 minutes. But he's a defensive liability on a defensively challenged team and the Cavs felt it was best to move him.